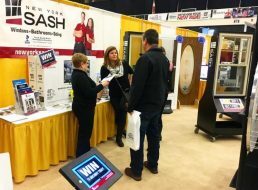 Booths for the Home Show at the Turning Stone are almost gone, don’t miss your chance to be part of the show! Happening February 9-11, 2018 at the Turning Stone Premier Events Center. Get in front of thousands of local people seeking your products and services! Check out the map and register today.